“We’ve been doing a version of this show since 2002,” said Lawrence, during a phone interview last week from her home in long Beach, California. “It’s morphed over the years. I try to keep it topical. I’m pushing that crazy old lady into this world. She can actually have an opinion that Vicki can’t. Audiences love her. 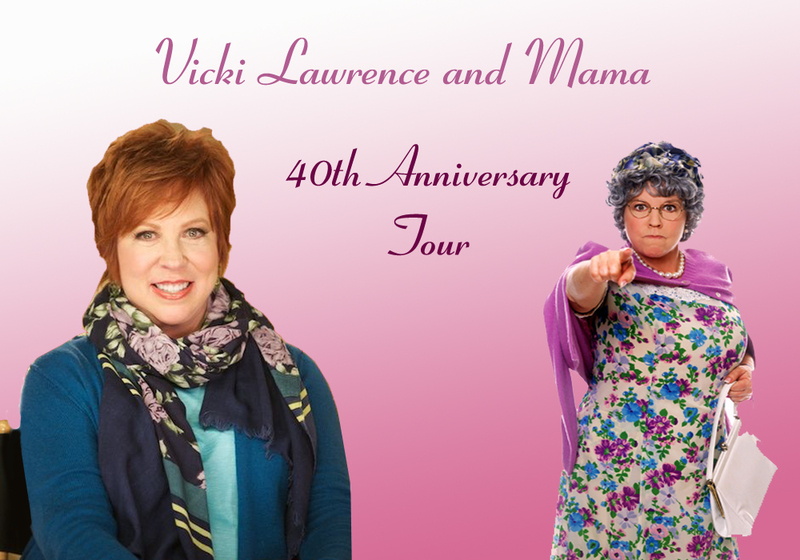 Audiences love Vicki Lawrence and they really love Mama. “Mama has been around since I was 24 so that’s 40-some odd years,” said Lawrence. “In this show, I open for her. I know how everyone loves her. They especially love seeing her live. Lawrence’s long and varied career provides a lot of subject matter to discuss. From 1965-1967, Lawrence sang with the Young Americans musical group and, also, appeared in the feature film “The Young Americans,” which won an Academy Award for Best Documentary. During her senior year of high school, Lawrence sent Carol Burnett a letter which included a local newspaper article mentioning their resemblance. She She invited Burnett to the local fire department’s “Miss Fireball Contest” in which she was performing. Burnett came to the event and the rest is television history. “The Mama character was written by two of the writers on the Carol Burnett Show,” said Lawrence. “They wrote this beautiful homage to their messed-up families. “When it went to a sitcom, they had to change her from this hateful woman. In a sitcom, you can’t expect people to keep watching this cranky old woman. After “Mama’s Family” ended, Lawrence continued to add new projects to her versatile career. She became one of the few successful, female game show hosts when she took on the daytime network-version of “Win, Lose or Draw” and then had her own daytime talk show for a few years in the mid-1990s. Additionally, Lawrence travels all over the country speaking to women’s organizations about her life and career, women’s health, and being a woman in a man’s world. “‘The Carol Burnett Show’ was just such a well-oiled machine,” said Lawrence. “It ran perfectly. It had all the right people in the right positions. It was very close to the Golden Age of Television. There also is another facet to Lawrence’s multi-tiered career as an entertainer. Do you remember the hit single “The Night the Lights Went Out in Georgia”? Lawrence received a gold record as a recording artist for the international hit single “The Night the Lights Went Out in Georgia,” which was released on Bell Records in November 1972. It sold over two million copies and was awarded a gold disc by the Recording Industry Association of America in April 1973. And, if you’d like to revisit “Mama’s Family,” the show airs on the MeTV cable network Monday through Friday during the 6 p.m. hour. Video link for Vicki Lawrence and Mama – https://youtu.be/VCVz7RnCrXo. The shows at the Broadway will start at 2 and 8 p.m. Tickets are $40. There is a Broadway show touring across the states right now that has a strong local connection. Chadds Ford’s Lily Caputo is a cast member of the Grammy-winning musical “Once,” which has a three-day, five-show run through April 2 at the Playhouse on Rodney Square (10th and Market streets, Wilmington, Delaware, 302-888-0200, www. duponttheatre.com). 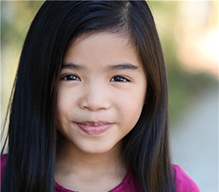 Caputo, a nine-year-old actress who is the daughter of Pat and Alicia Caputo, has been on tour with “Once” since September. Now, she will be able to sleep in her own bed in Chadds Ford for a few days. Alicia Caputo has been on tour with Lily and her 10-year-old brother Kevin. The touring production, which is playing mostly split-weeks and one-nights, has already touched down in 52 states since September. “Once” features an ensemble of actor/musicians who play their own instruments onstage. It tells the tale of a Dublin street musician who is about to give up on his dream and the chemistry that takes place when a beautiful young woman takes a sudden interest in his haunting love songs. Over the course of a concentrated one-week period of time, their unexpected friendship and collaboration evolves into a powerful but complicated romance that is intensified by the raw emotion of the songs they create together. Video link for “Once” – http://oncemusical.com/about. The show at the Playhouse will have evening shows on March 31 and April 1 and 2 with matinee performances on April 1 and 2. Ticket prices range from $40-$85. There is a special show being presented by the Kennett Symphony (http://kennettsymphony.org/) on April 1 – and it’s no joke. The Kennett’s Symphony’s description is – “The show is a brand new, informal, hour-long concert event. Seated in the round, you will experience the music and the orchestra as never before. With a full title of “Symphony No. 4 in A Major, Op. 90,” the orchestral work by Mendelssohn, which premiered in London on March 13, 1833, was named “Italian” because it was intended to evoke the sights and sounds of Italy. Its final movement uses the rhythms of Neapolitan dances. The event will get underway on April 1 at 1 p.m. in the Grand Ballroom of the Mendenhall Inn (Route 52, Mendenhall). All seating is General Admission and seating at the Mendenhall Inn is first-come, first-served. Video link for Kennett Symphony — https://vimeo.com/210340185. The show on April 1 will start at 1 p.m. Tickets are $25 in advance and $30 day of concert with $10 tickets for students up to age 18. Ticket price includes your first mimosa and hors d’oeuvres with cash bar available on site. Meghan Cary usually performs a lot but this month only has two shows on her schedule – one of which is April 1 at the Mermaid Inn (Germantown Avenue and Mermaid Lane, Chestnut Hill, 215-247-9797, www.themermaidinn.net). There is a very good reason why Cary is not spending much time on the road. 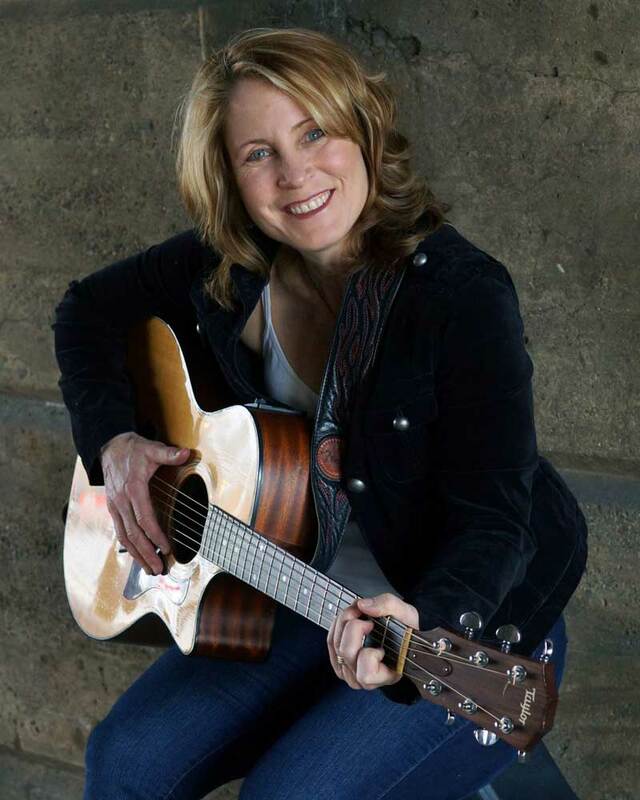 “I’m working on a new album right now,” said Cary, during a phone interview last week from her home in Erdenheim, Pennsylvania. “We’re totally immersed with this record. We did this acoustic trio EP the summer before last. Now, we want to capture this full band flavor with Analog Gypsies. “The ‘Sing Louder Festival’ EP was a trio with Stacy Weather on banjo, Bob Beach on harmonica, flute and vocals and my husband Peter Farrell on keyboards and vocals. The full band has five people. “We’ve been playing together a long time. We have a signature sound. We went into the studio with a bunch of new songs. It’s the next phase. The subject matter is different – more universal…speaking to the times. I’m not going to sing about my heart getting broken at a party on a Saturday night. Cary has chosen a good path to follow in recording the album – a path that leads to Morning Star Studio in East Norriton. “I thought I wanted to be a biomedical engineer,” said Cary. “I looked at Cornell, but it was freezing up there so I chose Duke instead. I was on a pre-med track and then got interested in theater. I finished Duke with a degree in drama with a minor in chemistry. Then, I got my MFA (Masters in Fine Arts) in acting from Florida State University. “Being a mom of two kids in elementary school – Clara in fifth grace and Quinn in second grade — means I inhabit two entirely different worlds in a given week…or day,” said Cary. “And, I was thinking how important it is for me to have both. “It’s no surprise that sometimes trying to figure out the business of music can be pretty anxiety provoking – you know, how to afford to make records, if and how to sell records, and (most important for me) how to get the music out there so people fall in love and want to connect to and be a part of the music. “But I’ve been blessed (challenged?) with this other side of life that balances it all out. When I’m with the kids and just being and doing whatever it is we’re doing together, the drama that can be a part of the DYI musician’s world seems really inconsequential. “So, the fact that both of our kids are musical and inspired to make music is really a gift. It means I don’t have to keep the two parts of my life so compartmentalized. “I got this bug just the other day to start working up songs with Clara that we could sing and play together. She has a strong voice and a great ear, and she can play just about anything she hears on the keys. 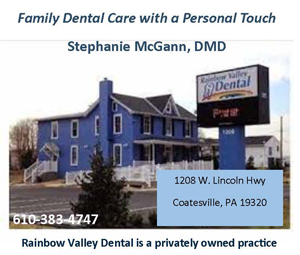 Video link for Meghan Cary – https://youtu.be/4JNEBzl5i1Q. The show at the Mermaid Inn, which also features Sarah and the Arrows, will start at 8:30 p.m. Tickets are $15 (suggested donation). 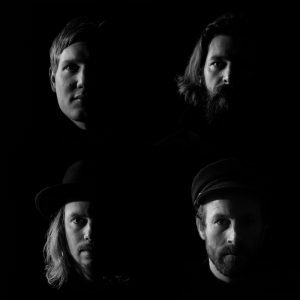 The Norwegian band Mayflower Madame recently announced its debut US tour – a tour that kicked off on March 31 in Providence, Rhode Island and touches down locally on April 2 at Kung Fu Necktie (1248 North Front Street, Philadelphia, 215-291-4919, kungfunecktie.com). Specializing in a dark and haunting blend of post-punk, shoegaze and psychedelia, the Oslo-based band’s debut album, “Observed in a Dream,” received praise from international press earning them comparisons to The Jesus & Mary Chain, Bauhaus, The Gun Club and A Place To Bury Strangers. Mayflower Madame — Trond Fagernes – vocals, guitars; Petter Gudim Marberg, bass; Håvard Haga, guitars; Bjørn Marius Kristiansen, drums (tour drummer); Ola J. Kyrkjeeide, drums (studio/live drummer) — was formed in Oslo during the winter of 2010-11. They started rehearsing in a desolate industrial building where they had to share the space with a carwash company. Amidst the gritty surroundings, they instantly found their dark, post-punkish sound and soon recorded a four-track demo. 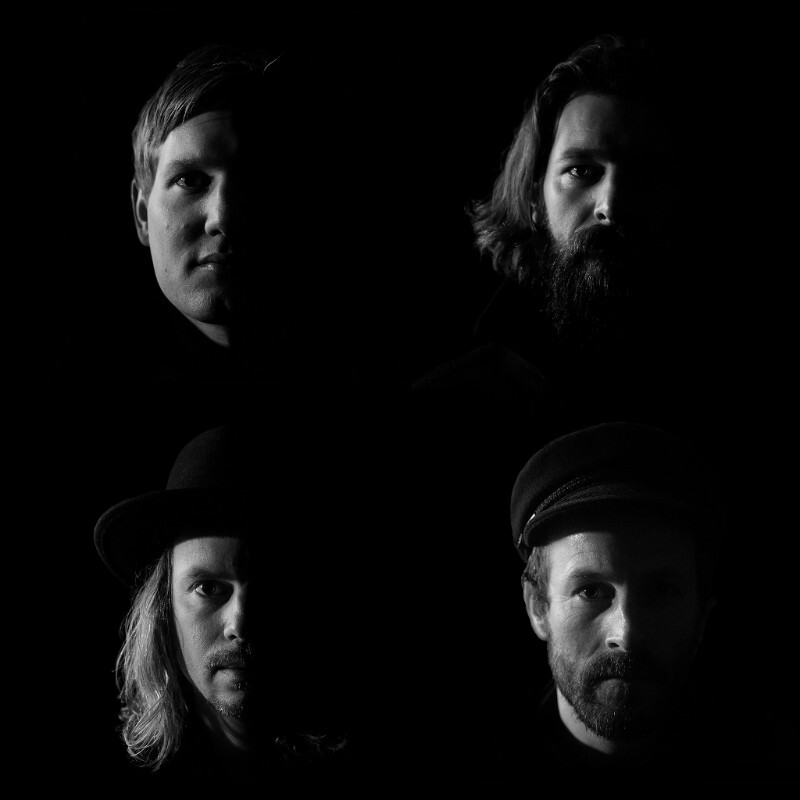 Early career breaks were winning the award Unsigned Band of the Week on one of Norway’s biggest radio channels and performing at the Norwegian Wood Festival. “NRK P3, one of the Norway’s biggest/most popular radio channels, honored us as best unsigned band. Playing at the Norwegian Wood Festival was kind of like a ‘quality stamp’ from the music industry people. First and foremost, it helped us to get booked for bigger/better shows. “We recorded it ourselves in our rehearsal space in 2011. I would describe it as post-punkish shoegaze. Or as shoegazers trying to play post-punk. “The ‘Into the Haze’ EP was also recorded by ourselves in our rehearsal space. We like to be in control of everything and not worry about studio rent etc. It was recorded the same year it was released — in 2013. “When we were making the new album, we just did the ‘our thing’ – just as we did with ‘Into the Haze.’ We did not have a predestined plan or anything. I guess it was just the result of a gradual development. We also recorded the album ourselves. “We recorded it in Norway and it certainly has its own vibe – a dark and haunting vibe, sometimes ecstatic and noisy, yet always indulgent to the soothing charms of melody. Video link for Mayflower Madame — https://youtu.be/e_GxuOfy74U. The show at Kung Fu Necktie, which also features Heavy Flow, Hidden Lights, and Tannins, will start at 8 p.m. Tickets are $7.